This type of trepidation, when considering an organ that is so central to your overall health, is normal. But heart health doesn’t have to be mysterious or overwhelming. In this post, featuring the expertise of cardiac physical therapist Monica Jain, we will demystify how to take very good care of the great engine of your heart… so it can take very good care of you. Your heart is a muscular organ central to the health of the entire organism that is You. It is located just behind your sternum, a bit to the left side (rest your hand there and you will likely sense it thumping–if you dare!). The heart does the vital job of pumping blood throughout the veins and arteries of your cardiovascular system. Why would you want your blood pumped around your body? Because it transports oxygen, nutrients and hormone cells throughout your system. It also removes metabolic waste such as nitrogenous waste and carbon dioxide. It refreshes and rejuvenates your system with the good stuff it needs, while ushering out the stuff it doesn’t need. The heart contains four chambers: two atria and two ventricles. After your blood has taken a trip around your body, it returns, un-oxygenated to the right atrium. The right ventricle then pumps that oxygen-poor blood into your lungs. 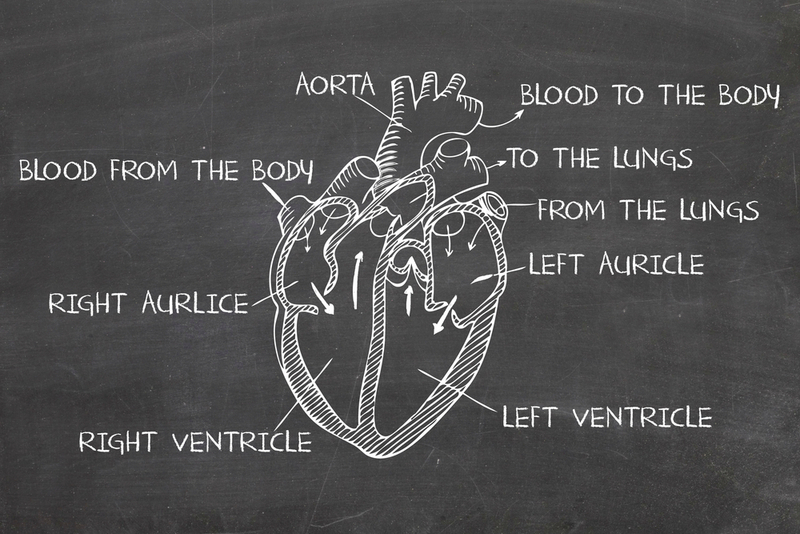 The left atrium, in turn, takes that oxygen-rich blood from the lungs and pumps it into the left ventricle. The left ventricle then pumps freshly oxygenated blood back out into tissues throughout your body. Physical therapist Monica Jain is passionate about matters of both the heart and mind. As a post-cardiac surgery PT and also a mindfulness teacher, she has repeatedly seen the power of combining self-awareness practices with traditional rehabilitation for what she calls, a more “complete recovery” from heart surgery. There are several different heart diseases that can lead to the need for surgery. Here are just a few that Monica Jain encounters on a regular basis. 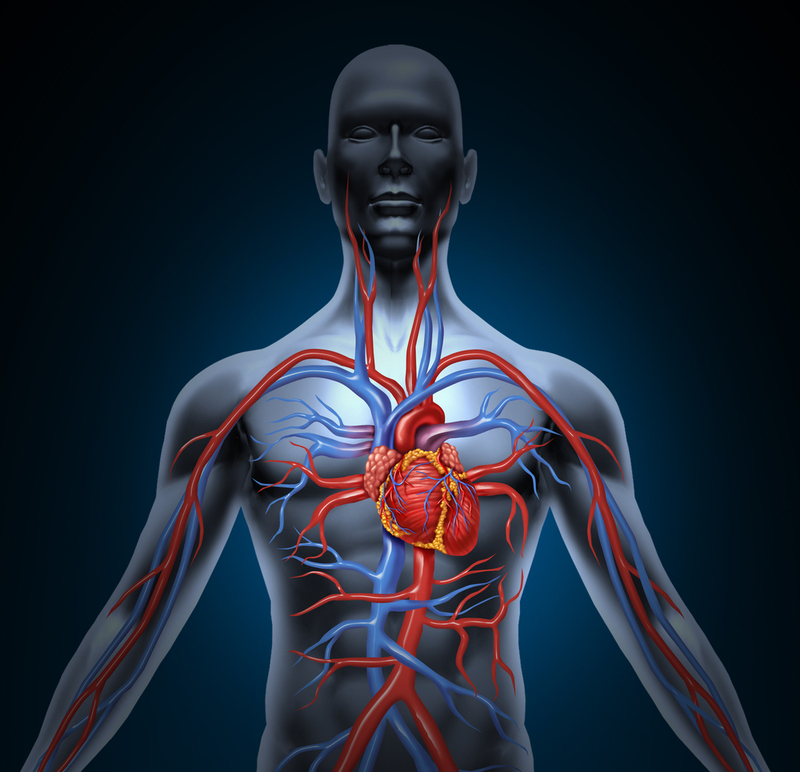 Coronary Artery Disease: Your arteries are designed to have elasticity and smoothness. But with time, and certain lifestyle choices, they can grow plaque on their inner walls which causes them to become more rigid and narrow. This limits blood-flow to the heart, which means it gets less oxygen. The plaque could rupture, leading to a heart attack or sudden cardiac death. Heart Valve Disease: Each of those chambers of your heart has a valve that blood passes through to enter the next chamber. Ideally, the valves open and close smoothly, fit together neatly, and the blood only moves in the direction it is meant to in order to re-oxygenate via the lungs. However, there are a variety of issues that can arise with heart valves. They can fail to properly open, not properly close, be the wrong size, be leaky, get inflamed, or even get infected with bacteria that causes holes or growths in the valves. Cardiomyopathy: This is a progressive disease where the heart is abnormally enlarged, stiffened and/or thickened. This inhibits the heart’s ability to pump blood and can cause backup of blood into the lungs or rest of body. Arrhythmia: An irregular heartbeat. Either slow, fast, fluttery, maybe skipping a beat, etc. Arrhythmias show up in a variety of ways and for a variety of reasons. Some are completely harmless, while others are life-threatening and need medical intervention to keep the heart ticking healthfully. Weak Heart: For a variety of reasons, such as narrowed arteries, high blood pressure, or stiffness of the tissues, the heart can become weakened. This can cause it to have trouble pumping blood and lead to congestive heart failure. Congestive heart failure: This is a condition that impacts the pumping of the heart, meaning it works less effectively. Fluid builds up around the heart causing inefficiency of the heart. *If you can’t quite picture the movement of blood through the heart, have a peek at this video from the American Heart Association for further clarification. Monica Jain’s job is to help people prepare for, and recover from, heart surgeries. These surgeries help address valve disorders, blockages, transplants, implant ventricular assist devices, and more. Now that we’ve gotten all that cardiac anatomy out of the way, let’s look at how you can both prevent heart disease, and mindfully recover if you, or a loved one, does encounter issues of the heart one day. Monica Jain invites us all to look at heart health as a triangle, with each point needing equal attention. The triangle includes: 1) Physical maintenance; 2) Mental/emotional balance; 3) Social engagement. Now let’s look at what each point on this triangle entails, and how to start nourishing the health of each of these points for your own heart health today. Maintaining physical heart health involves exercise, diet and hydration. “In today’s world there are so many things that people can do for their physical fitness, to get a balance of cardio, strength and flexibility,” notes Monica Jain. “But I believe, most importantly, that people go into themselves and find what resonates the most for them.” She recommends finding the particular sport or style of movement that you enjoy is the best way in. Here is one of my favorite practices from the Tune Up Fitness library to help alleviate upper back tension, and “un-slump” your chest and shoulders. Combined with spinal strengthening techniques, this is a great posture-priming practice. Monica Jain discovered mindfulness meditation practices several years ago, personally felt their tremendous benefit and became a mindfulness teacher. She has since brought mindfulness into post-op rehab rooms to enhance the efficacy of rehabilitation exercises. “The normal tendency of a human being is fight/flight/freeze mode when any stressor comes and attacks. But mindfulness gives you the option of giving the signals to the brain that everything is going to be okay. Monica Jain’s favorite practice that anyone can do to start to build mindfulness is the abdominal breath. Fortunately, it’s one of our favorite practices here at Tune Up too, so you can have a look at the below video to get an idea how to do it. “If you have physical fitness and mindfulness, there is no challenge you cannot face. Your recovery is going to be awesome” says Monica Jain. Another fun fact Jain shared about abdominal (also known as “diaphragmatic”) breathing, is that she inadvertently discovered it might increase your lung capacity by over twice that of thoracic (chest) breathing. The final point in the triangle is your social life–family support and good relationships. Having a community of warm, supportive people will help keep your nervous system regulated and positive energy around you to persevere through physical challenges. As noted before, these three points of cardiac health aren’t just about recovery, they are also what helps fend off heart issues in the first place. As such, Monica Jain is all for preventative care. With out a heart we can not breath, without our breath we can not live. The videos are great and simple. The combination of connective tissue work, breath work and being social makes living a healthy heart life easy. Heart health can seem so scary. This article really made it less so. Really liked the videos. They made the information very clear. The abdominal breathing practice video is actually about leg compression, please correct and replace with the breathing video. Thank you!